With pure Maritime ingenuity, that’s how. 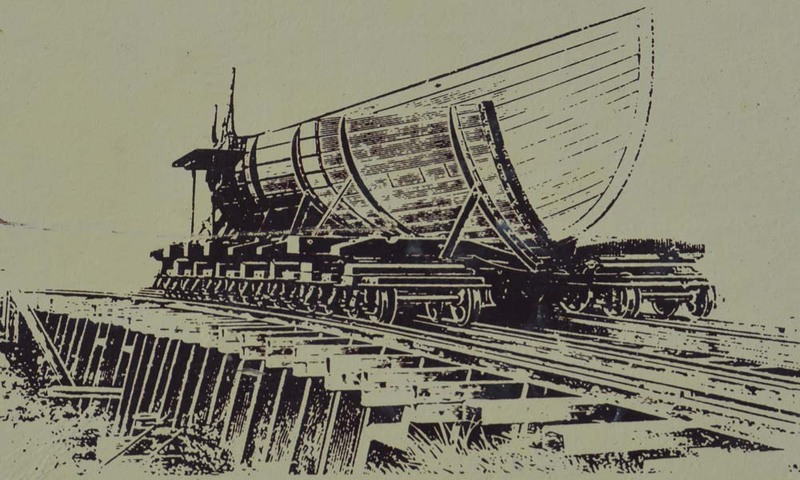 Ketchum devised a system whereby a cargo ship would be sailed onto a portion of track which would then be lifted hydraulically to meet the rail on land. The ship would be pulled by two engines across the 17 miles from Fort Laurence to Tidnish, then lowered by the same means back into the sea to continue its journey. The plans were met with applause when presented in 1875 and Ketchum started drawing up blueprints. Those blueprints were stored in Saint John and were set alight during the Great Fire of 1877. Ketchum took a deep breath and started over. He financed the survey for the project and presented the results to Minister of Railways and Canals Charles Tupper, a fellow Maritimer who would enjoy a brief stint as prime minister not far into the future. The government agreed to subsidize the project so long as it was completed by 1889. Ketchum got to work in 1888. The project attracted 4,000 immigrant workers and at least two churches. The flow of the Tidnish River was diverted. Bed was dug and track was laid. 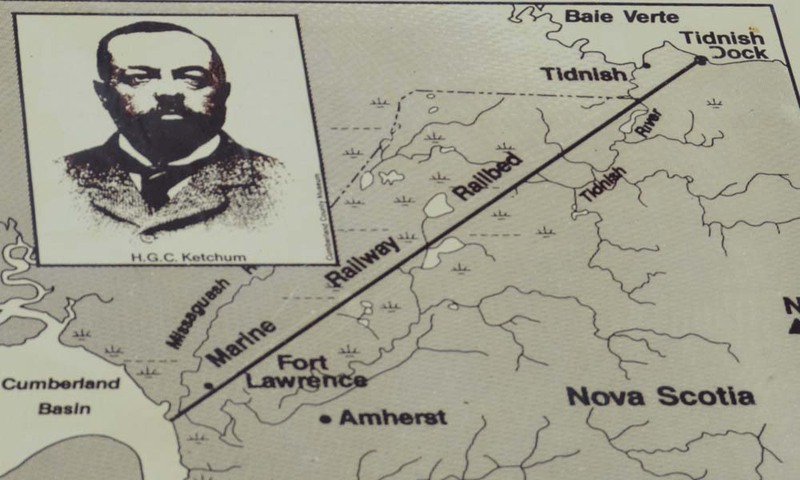 Then, in 1890, the project started to go off the rails, when financial troubles in Europe filtered down to the Chignecto Marine Transport Railway. Ketchum asked the government to extend their subsidy, but they had already moved back the deadline a year and it was not going to happen again. 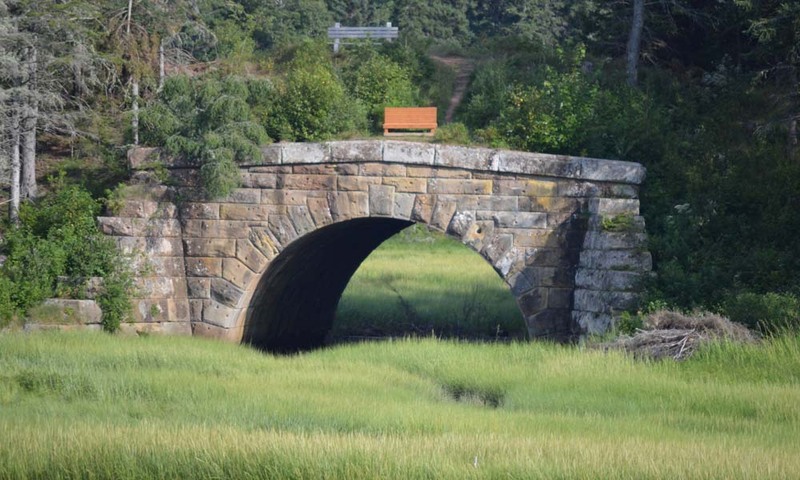 Work stopped in 1892, a heartbreaking four miles from completion. Ketchum and his successors tried to revive the project, but to no avail. All that’s left is some rail bed, Tidnish Bridge and Ketchum’s grave overlooking the would-be dock.